A bohemian decor does not always have to be dominated by white. 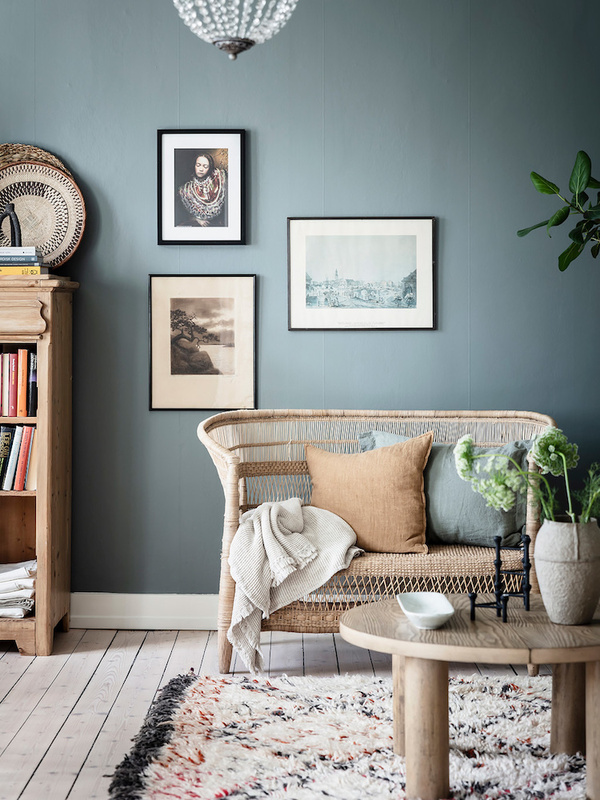 In this styling, the rattan bench comes out beautifully in combination with the soft Scandinavian greenish/blueish background color tone. Shop this bench and other matching accessories with today's lookbook!